« Airbnb – In the Air or Your Backyard? 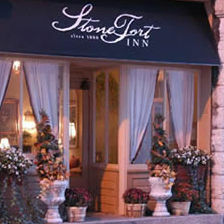 Think historic romantic charm then think urban chic, put them together and you get The Stone Fort Inn in downtown Chattanooga. The B&B Team is pleased to offer this unique specialty lodging for sale. What is so wonderful about all the bed and breakfasts, country inns and boutique hotels we currently offer buyers is they are all special and unique in their individuality. This is what we love about our participation in the small lodging industry. The Stone Fort Inn is a superb opportunity for an enterprising entrepreneur individual or group who is looking for properties that include facilities for special events, conference,wedding and meeting venues with a restaurant and bar. The public facility rooms can accommodate 150 for a stand up reception, 60 for a seated service and 80 for a buffet. The location is extraordinary within walking distance to the riverfront and the very active and chic downtown district. 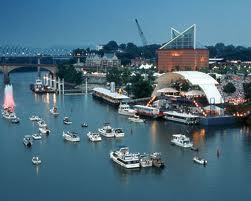 Chattanooga is known as the ‘Scenic City’ and Stone Fort Inn is a bright spot in that scene! The property offers 15 guest rooms that are truly styled for today’s traveler, business or leisure. Hear what guests have to say. What is in this offering for the future owner of this one of a kind property? Do you like the number 5 multiplied? Occupancy is in the 50%+ range as are the current revenues in excess of $500,000. Growth opportunities, you bet. There is always room for new owners to improve and put their stamp on a successful business. The restaurant is currently used for events at the Inn but could easily be opened to the public and join the burgeoning downtown food scene. You like the night life? 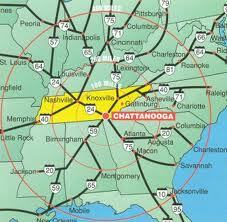 So would your guests and local Chattanoogans. The bar could become a lively night spot and a great profit center to add to the above revenue figure. So aspiring future or current innkeepers who are looking to add to their portfolio I hope you found this information interesting and would like to delve further. The B&B Team would love to hear from you. This entry was posted on Monday, October 15th, 2012 at 3:49 pm	and is filed under Better Way to Buy and Inn. You can follow any responses to this entry through the RSS 2.0 feed. Both comments and pings are currently closed.